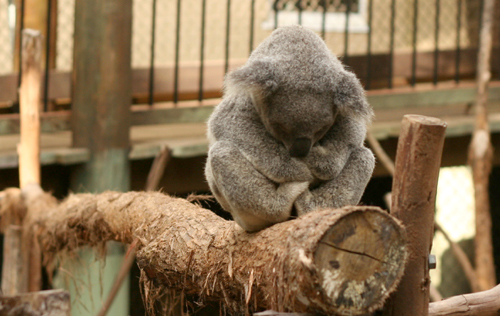 After we saw Freckles the koala at a local festival a couple weeks ago, I made a mental note that I should take the girls to the Daisy Hill Koala Centre soon. 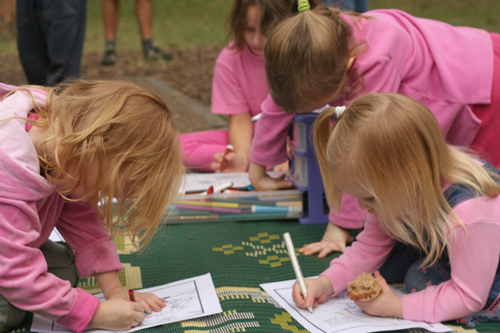 When a friend invited me to a homeschooling parents’ picnic at that park, I was happy to accept! 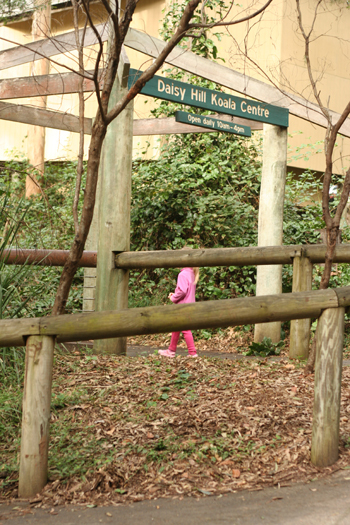 At Daisy Hill State Forest, a purpose-built information centre is open from 10 am to 4 pm, with interactive displays, lots of information about protecting koalas and two live koalas sleeping in their trees. We hadn’t been to the sanctuary and bushland reserve for almost two years when we took our Israeli friend Benjy to see the local wildlife. 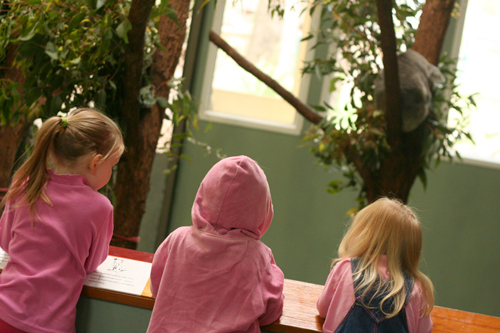 Today, the renovations on the centre were complete, so we could tour the building and see the two captive koalas that are permanently on display. One koala was located outside the building. Being nocturnal, it was fast asleep and hardly moved except for a little scratch. The other one was inside. One of these is named Freckles (that we met at the beginning of the month), but I couldn't identify which one! 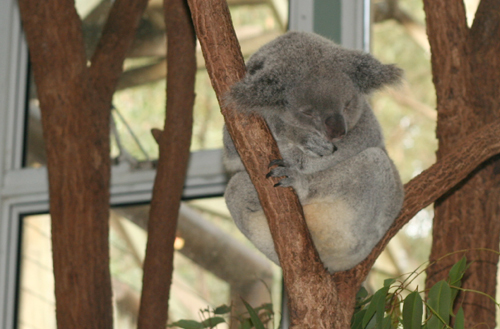 Koalas are relatively rare in Australia. Certainly you don't see wild ones very often as their habitats have been mostly destroyed by "civilisation". 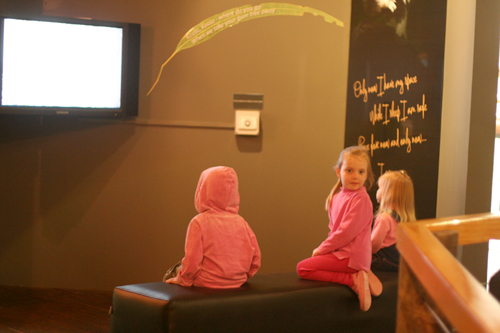 The girls were most interested by a television screen showing program snippets featuring the centre's staff and their efforts at rescuing and helping koalas in the greater Brisbane area. 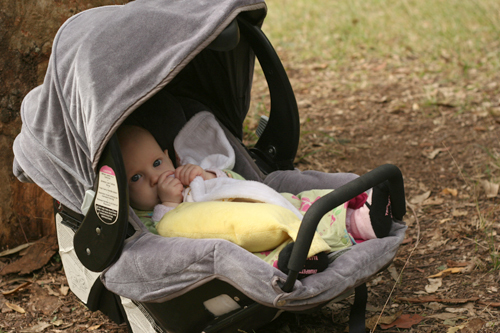 After we had toured the centre, we set off across the park to find the group of homeschoolers. 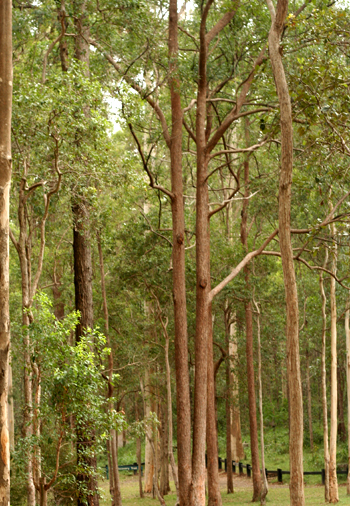 Most of the park is covered by mature eucalypt trees that provide a home for local wildlife and give shade to the families who come to picnic at the bush reserve. 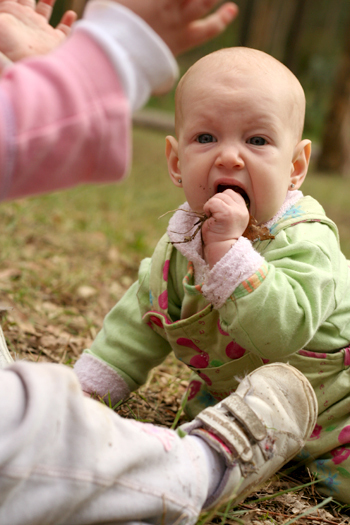 Delaney was delighted to crawl off her mat and start eating the leaves off the forest floor. 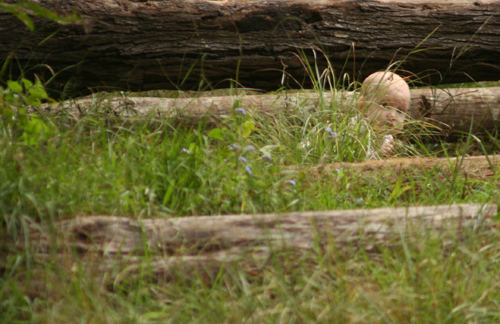 Later Brioni carried Dell with her so they could explore parts of the forest together. And then I looked up, counted my children and could only spot three! Dell had been left in the long grass by herself! Some mothers had thoughtfully brought along craft supplies to entertain the children. This is a practice that I can definitely learn from. I really appreciate these generosities (and so do my children! ), so I should practice the same whenever I can. I had a lovely morning meeting some new mothers who are also homeschooling, and also touching base with others whom I had briefly met a couple years before at the park or at other homeschooling activities. 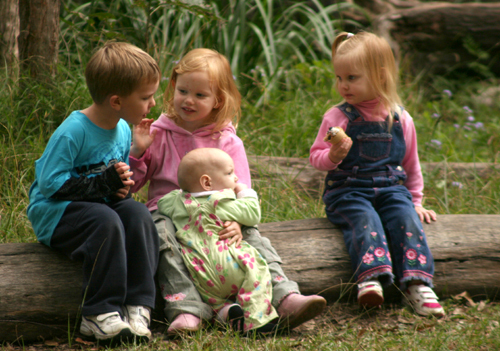 I’m optimistically hoping that from today I’ll make some new friendships with like-minded individuals so we can encourage each other as we journey along this homeschooling path!